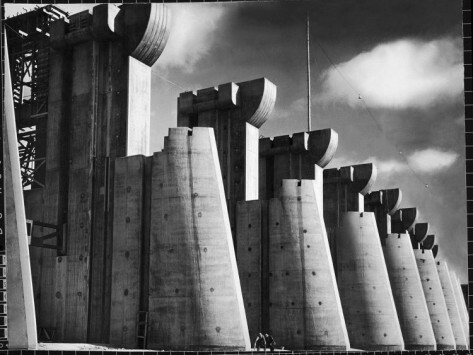 Margaret Bourke-White’s iconic 1936 Life magazine cover shot of the still under construction spillway at Fort Peck Dam along the Missouri River in the United States. For decades, Probe International has argued against big dam technology, outing it as consistently over budget, uncompetitive with alternatives, prone to corruption, destructive in its human, ecological and geological impacts, and a high-risk gamble private investors won’t chance their own capital on. Back in November 2000, after extensive public consultation and research, the first global performance review of large dams reinforced some of these concerns. Undertaken by the World Bank-sponsored World Commission on Dams (WCD), the review which looked at 1,000 dams in 79 countries found big dams typically fell short of economic targets and that most of the projects studied had 50 percent cost overruns, too often didn’t work properly and carried an “unacceptable and often unnecessary price” disproportionately borne by vulnerable communities. The report, in effect, gave the World Bank — an enthusiastic, longtime funder of dams through loans and guarantees — a black eye over its dam-building legacy. As a result, a decade-long lull in worldwide dam construction took hold until recent interest from emerging economies sparked a new wave in hydropower as a renewable energy source to mitigate fears around climate change and supply ever-increasing power demand. Now, fourteen years on from the WCD report, an even more comprehensive study of dams has emerged and the results are ever more damning. Released in March 2014 and prepared by researchers from Oxford University’s Saїd Business School, “Should We Build More Large Dams? The Actual Costs of Hydropower Megaproject Development” spans more than 70 years from 2007 to 1934, and looks at 245 dams in 65 countries, of which 25 were considered “mega-dams” at over 150 meters tall. The study reveals that large dams on average took 2.3 years longer to complete than originally planned, with actual costs typically 96 percent over budget, an overrun that tended to increase with the size of the project. Without even taking into account the expense of environmental and social impacts — often lacking from cost-benefit analyses of large-scale projects — it concludes that mega-dams in the vast majority of cases are not economically viable. Along with lengthy time lines and soaring costs, compounded by inflation and debt service for the mostly public entities that build large dams, such projects are not even the carbon-neutral, clean energy options they are touted as. Given the amount of concrete it takes to construct them and the forests cleared to make way for them, large dams can create significant carbon footprints; and when the trees and plants that settle on the bottom of dam reservoirs after they are flooded begin to rot, they release dissolved methane into the atmosphere when water passes through the dam’s turbines. The Oxford University study also found that large dams — which have incurred massive displacement of communities and the destruction or degradation of riparian ecosystems — “consume scarce resources that could be deployed to better uses, sinking vast amounts of land that could have yielded cash flows and jobs from agricultural, timber, or mineral resources.” As such, the authors recommend fragile economies in developing countries — where much of the current escalation in dam development is focused — would be better off concentrating on less complex, more flexible technology with shorter lead times. While news that mega-dams are mega-money sinks is not the jolt it once might have been, one finding of the Oxford review strikes a particularly jarring note: dam planners’ projected budgets, it found, have not improved in accuracy in 80 years! Bent Flyvbjerg, the study’s lead, said although the expectation is that dam planners would have improved their predictions, data for 80 years’ worth of dams and 70 years of transport projects “show very clearly no improvement,” which is a “surprising result”. So why is there a renewed drive to pursue this over-priced, obsolete and problem-plagued technology when it is now so clear its days on life support should be done? In one word: governments. Dam economists have never learned to predict the full cost of their projects because governments approve and support them and pay for them using taxpayer revenues, special levies, public pension funds, or by taking on debt from multilateral financing mechanisms. Because government pockets are deep thanks to taxpayers, the political reasons to build dams — vanity projects that reflect national pride or boost influence as fishing projects* — take precedence over economics, particularly when there are no competitive pressures in play to force investment in cost-effective, viable projects. “The private sector won’t touch big dams without massive subsidies and guarantees of revenue, even when they don’t produce power,” said Patricia Adams of Probe International, a longtime dam monitor and high-profile critic of China’s Three Gorges Dam. Authors of the new Oxford study say they are not against dams one and all, however, only mega-dams. “We don’t accept that it’s a discussion of hydropower from large dams versus fossil fuels, We would like the discussion to be about hydropower from large dams versus hydropower from smaller hydropower projects,” said Flyvbjerg, speaking to BBC News. Even there, recent research suggests small dams pose as big a threat to their surroundings as their larger counterparts, perhaps even more so. Oregon State University researchers who compared 31 small dams to four proposed large dams along China’s Nu River found that habitat loss and damage at several dam sites showed the environmental effects of small dams are often greater, sometimes by several orders of magnitude. “Small dams have hidden detrimental effects, particularly when effects accumulate” through multiple dam sites, said principal investigator, Kelly Kibler. “That’s one of the main outcomes, to demonstrate that the perceived absence of negative effects from small hydropower is not always correct.” [See: Small dams an even bigger dam problem, say researchers]. * Projects that start with low predicted costs that later plead cost overruns in order to pay off cronies. [According to Dai Qing, “This is what we call in Chinese, ‘small bait fishes big fish.’” [See Dai Qing: On The Completion of the Three Gorges Project].